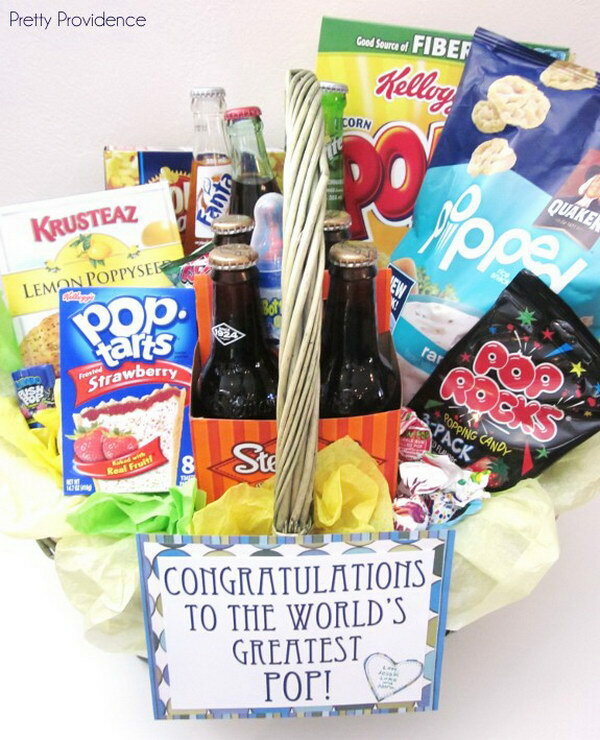 Gift baskets are a great way to showcase your handmade gifts. 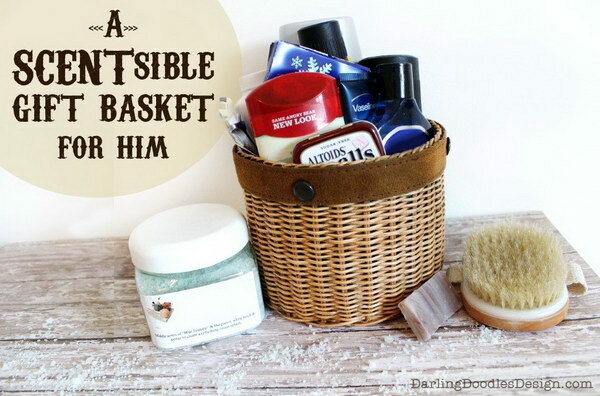 The best gift basket should be unique, one-of-a-kind item. 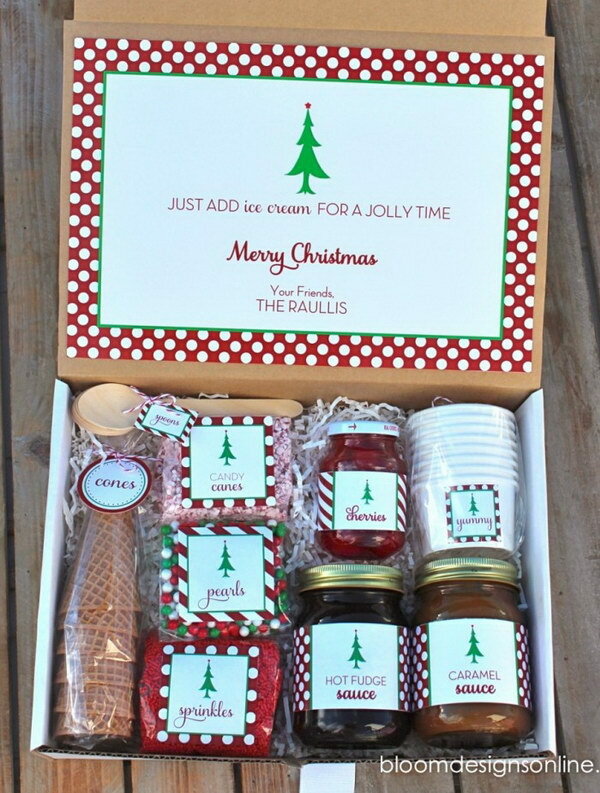 Instead of buying one in a store, you can create and design your very own personalized gift basket for someone you love this holiday season. Nothing says love and care than a gift that you make with your own two hands. 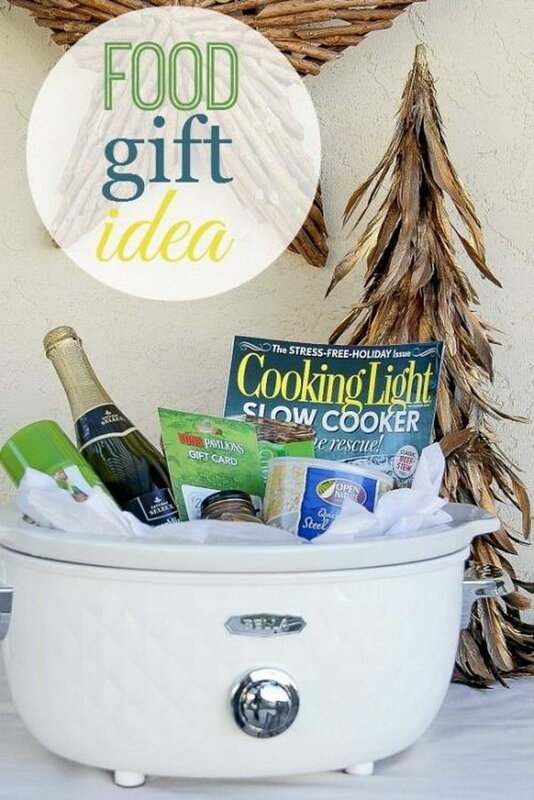 Today in this post we’ve rounded up some really cool and creative gift basket ideas for your inspiration. All of them are a crafty and handmade type. Take time to browse through these collections and create personalized ones for every person in your life. 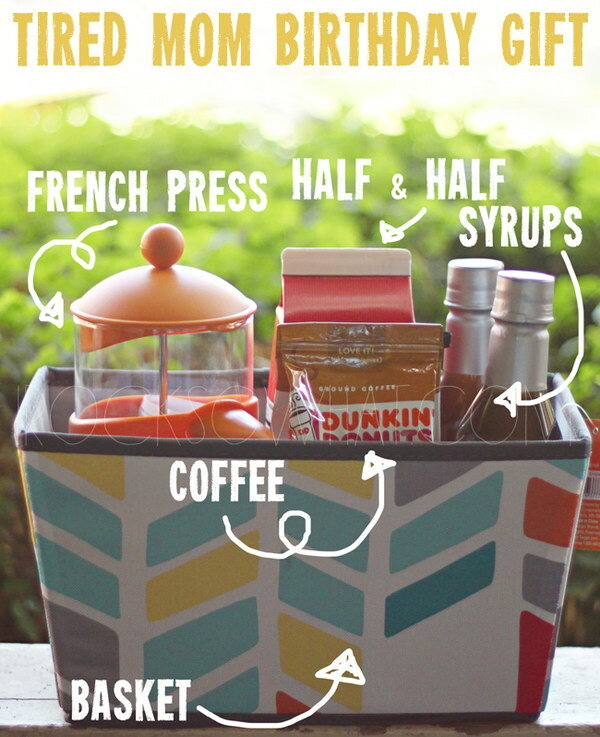 Nothing is easier than this DIY gift basket! 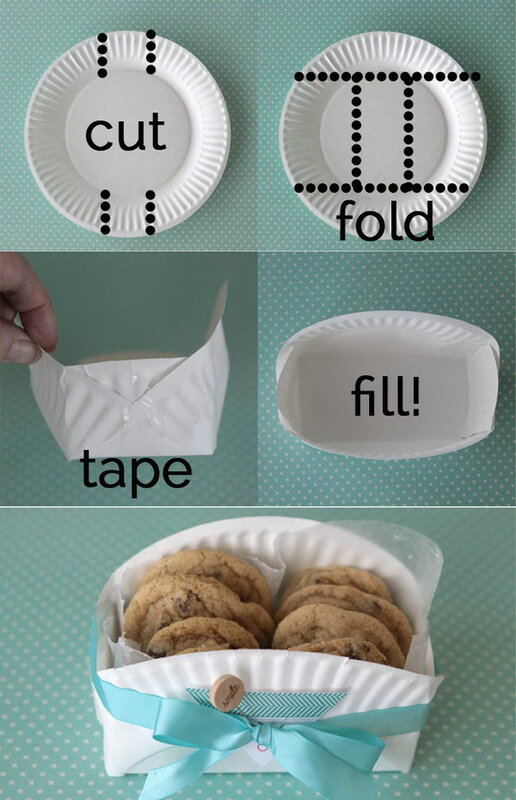 What you need is just a paper plate and then fold by following the directions in the picture. Tutorial via Its Always Autumn. 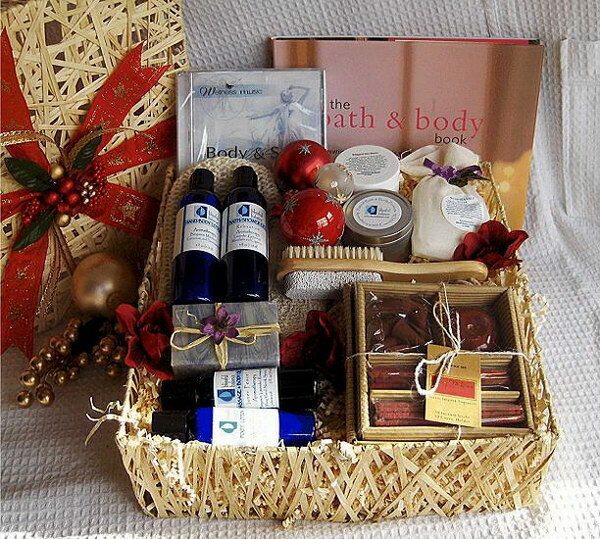 Homemade beauty and spa products are popular gift ideas. 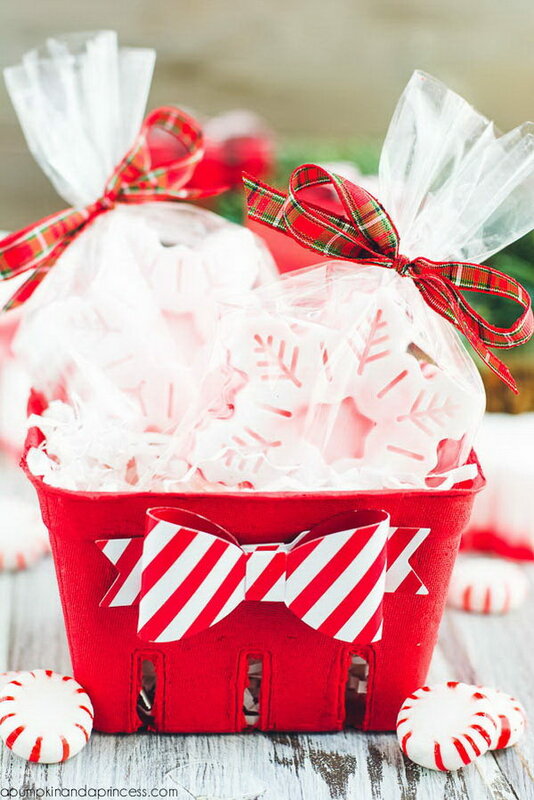 Easy and fun to make and perfect for holiday gift-giving. Check out to see the recipes and tutorials via a pumpkin and a princess. Perfect holiday gift for the girly girls in your life! Here’s a photo of everything that included in the gift basket. Check out the details via Jo Lynne Shane. Nothing better than a mug of hot chocolate to warm up during winter. 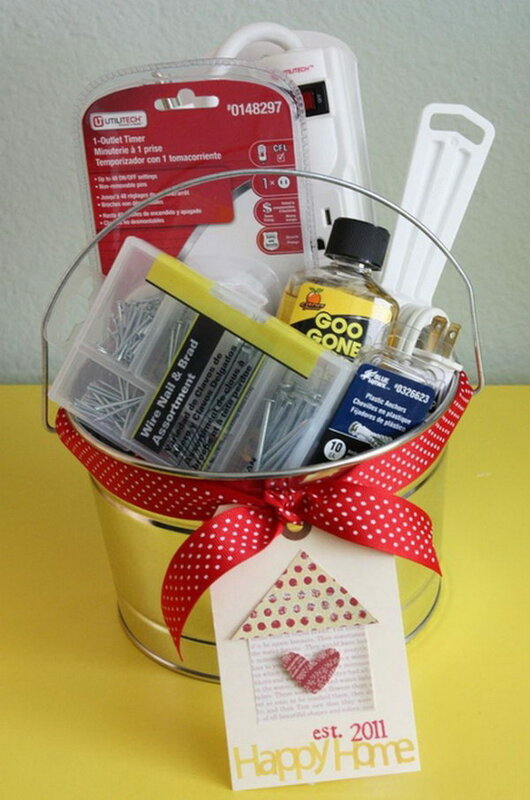 Start to create this sweet gift for your friends or families. 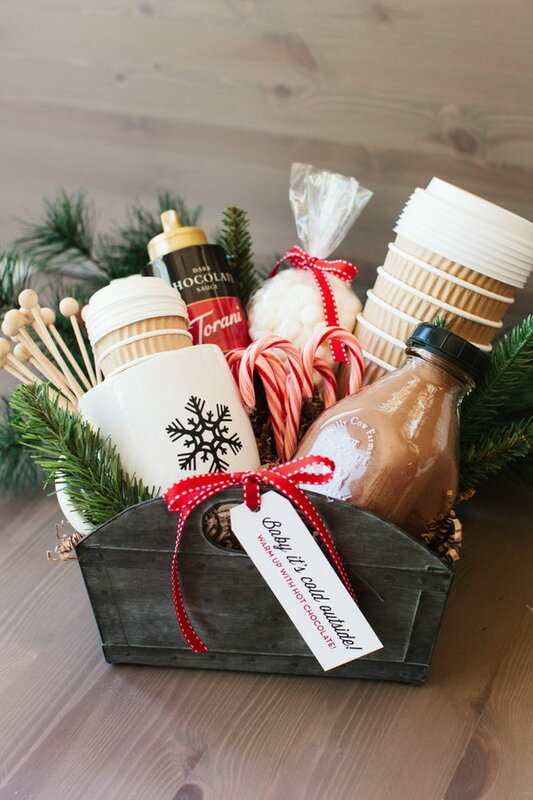 Check out the must haves for making this hot chocolate via The TomKat Studio. 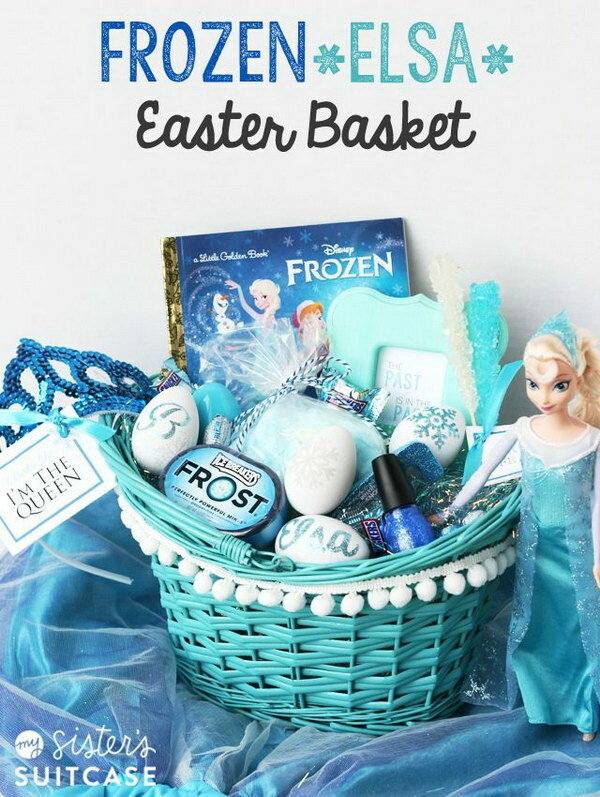 If you have kids who are probably obsessed with the Disney Movie “Frozen”, make them a special and fantastic frozen elsa easter gift like this. Check out the details and tutorial via Sisters Suitcase Blog. 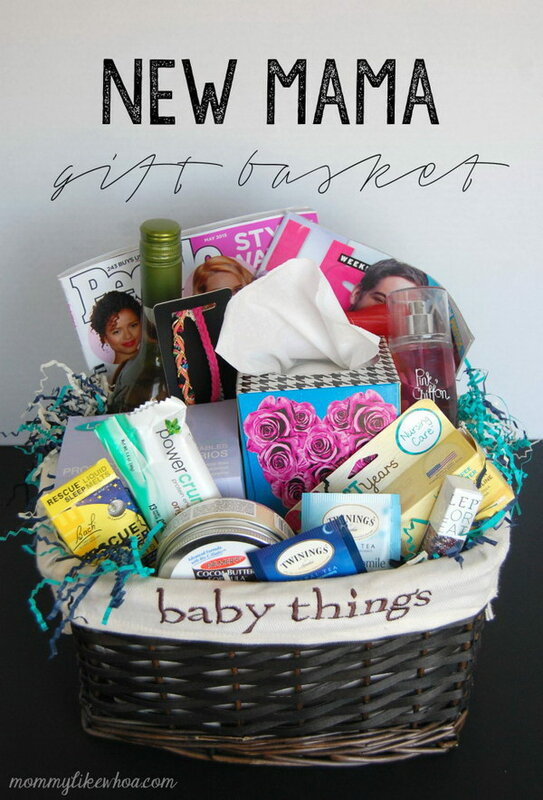 Check out to see the list of what’s in the “Pop” gift basket via Pretty Providence. Super easy to make! 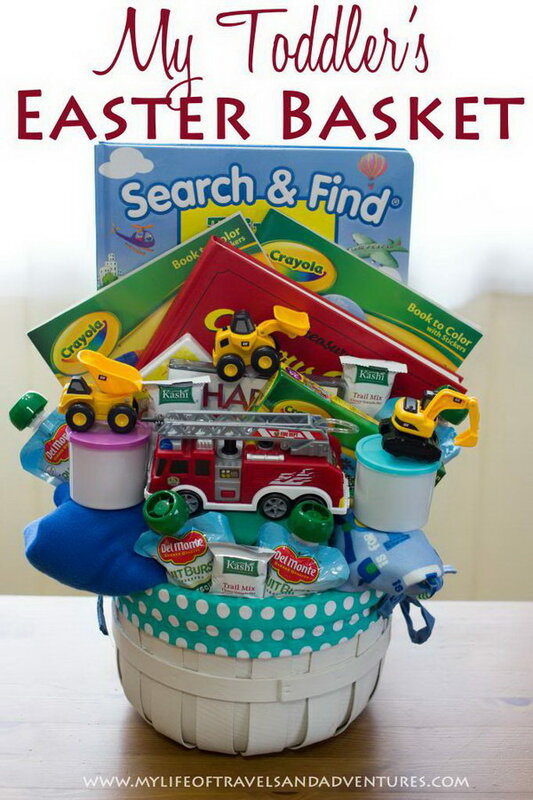 Put fun gathering items for your toddlers together, like fire truck toys, playdough and anything they like. See more details via My Life of Travel Sand Adventures. A cute pumpkin basket along with lots of fun fall goodies makes perfect and creative gift during this holiday season. See the tutorial via The Dating Divas. 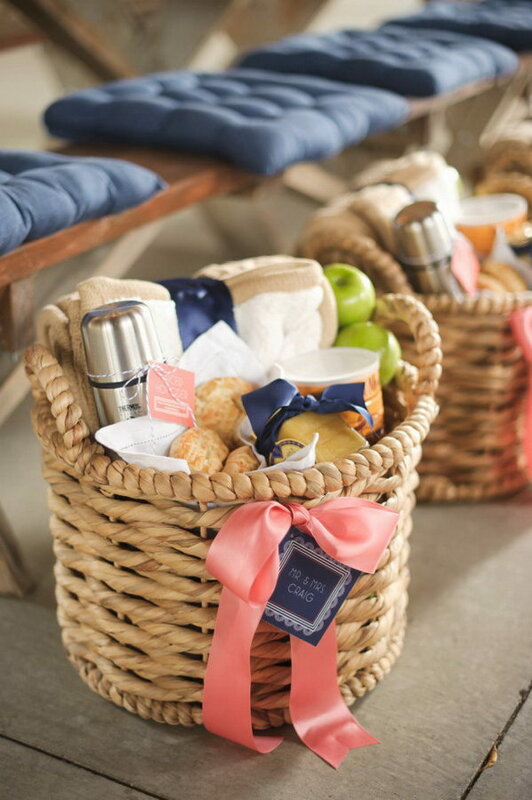 A perfect hostess gift basket idea for this Christmas. See all the supplies and details via The Diary of Daves Wife. Use a few simple ingredients to instantly make a delicious mocha latte mix that is sure to please your recipients. Learn the simple Tutorial via Something Turquoise. 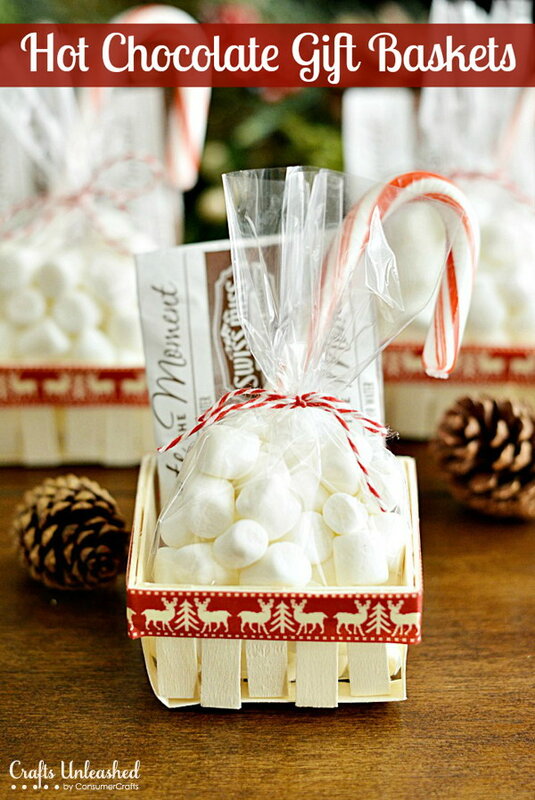 This treat gift was easy and turned out pretty darn cute! Try to make some for your loved ones this Christmas. See the tutorial via Bubbly Nature Creations. Looking for the perfect given- gifts? 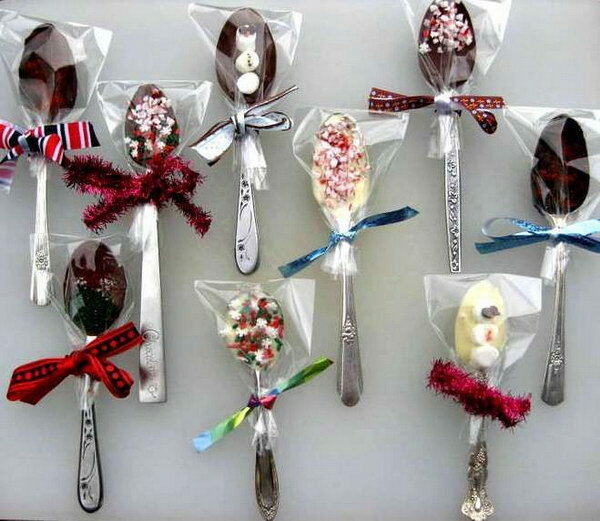 These vintage chocolate dipping spoons are easy to make and will be a great choice for you! See the tutorial via instructables. 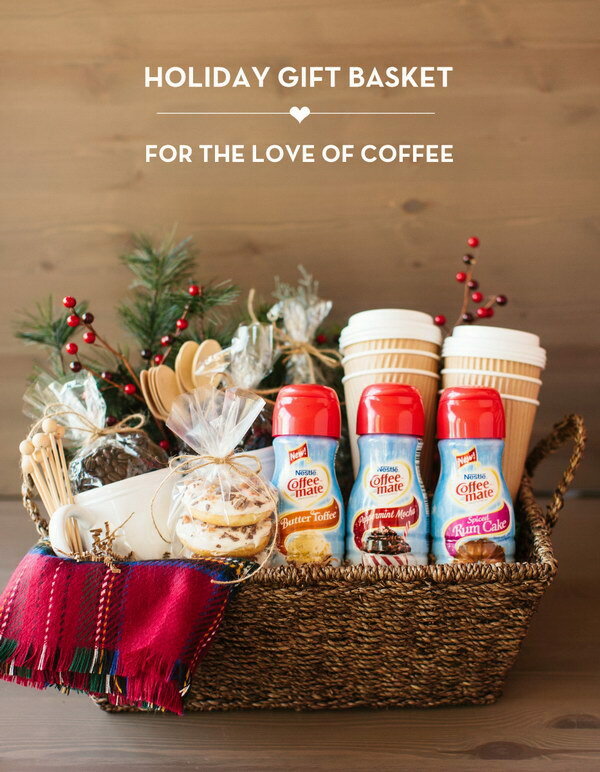 Create this holiday gift basket to share the coffee love with your friends! See the details via The TomKat Studio. 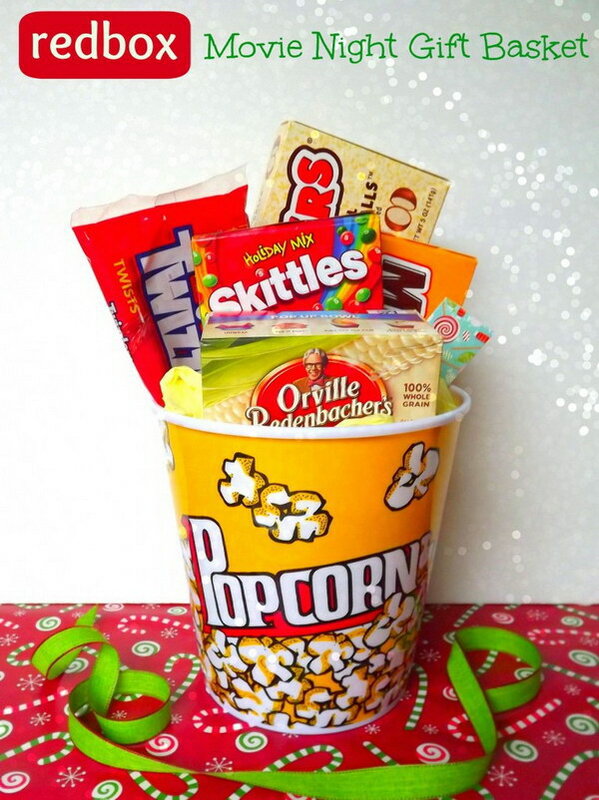 It could be customized to each recipient with a different movie. source. 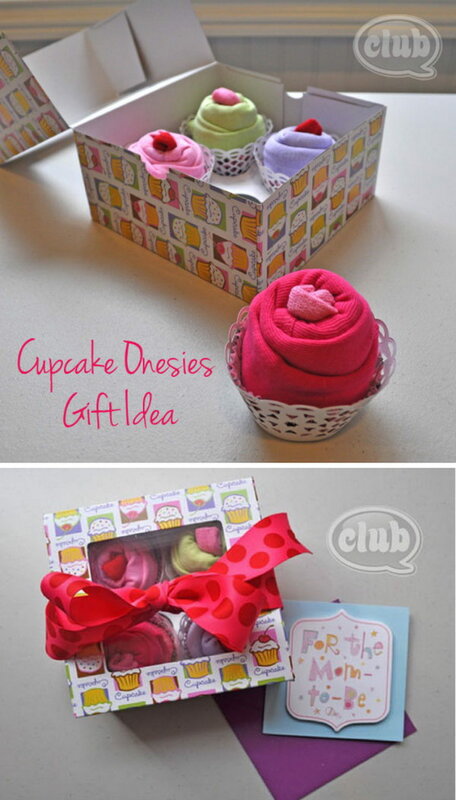 Cupcake Onesies Gift Basket. 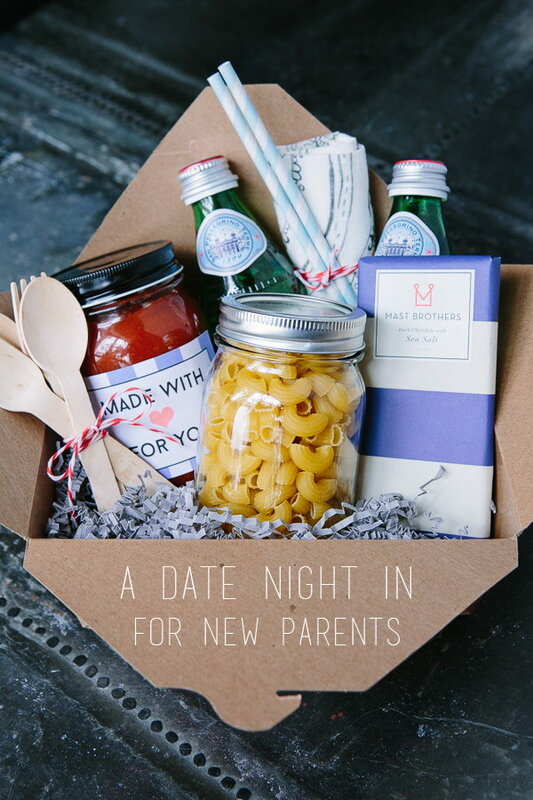 Creative way to showcase your onesies gift to the baby shower for mom-to-be. Tutorial via Club.Chica Circle. This craft is super easy and super inexpensive to make. source. 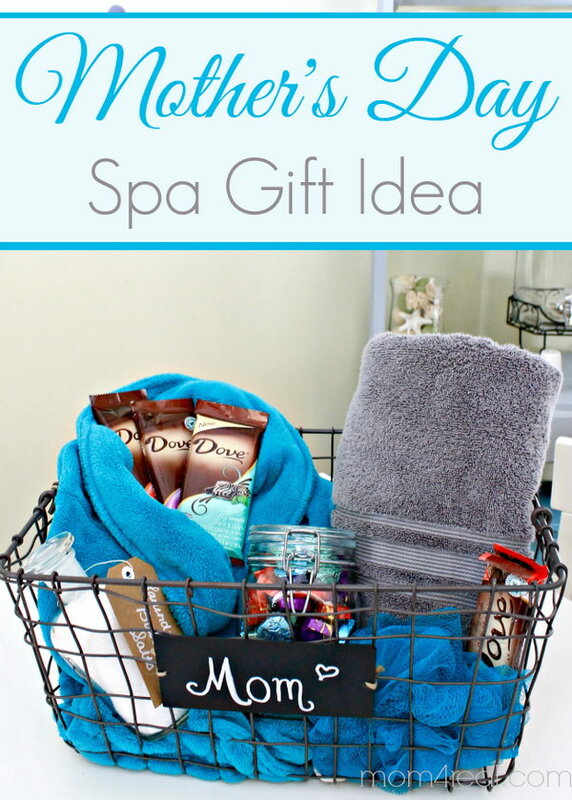 Instead of giving the usual flowers this Mother’s Day, you can go with a special gift like this spa gift basket that she can really use to relax. Check out the details via mom 4 real. New Home Owner Gift Basket. source. More details via Style Me Pretty. 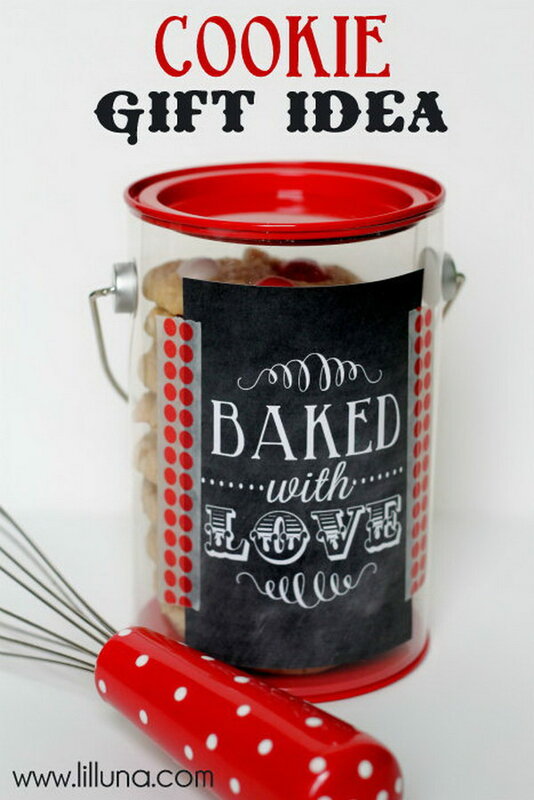 Package your homemade cookies or treats with free Bake with Love printable. What a cute gift for your friends! Get the free printable via Lil Luna. 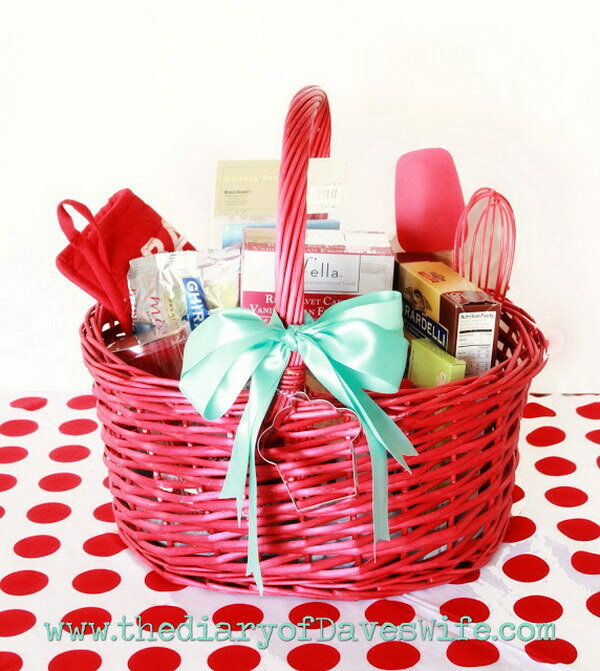 A basket filled with bath supplies, like shower gels, bathsoaps, fluffy towel, bath salts, bubble bath, lotions, could be a nice gift choice. See more details via 365 Greetings. 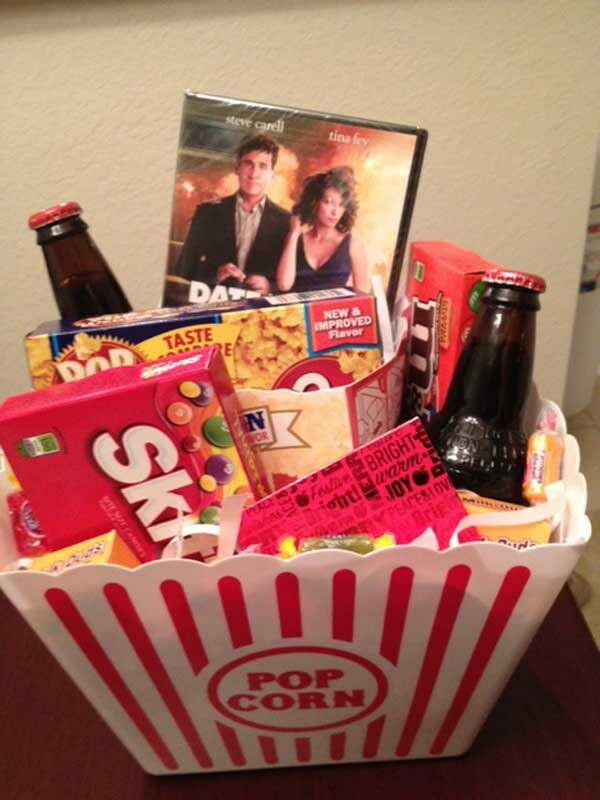 Movie Night Redbox Gift Basket. This turns out to be a unique and much appreciated teacher’s gift that won’t break your budget! More details via surviving a teachers salary. 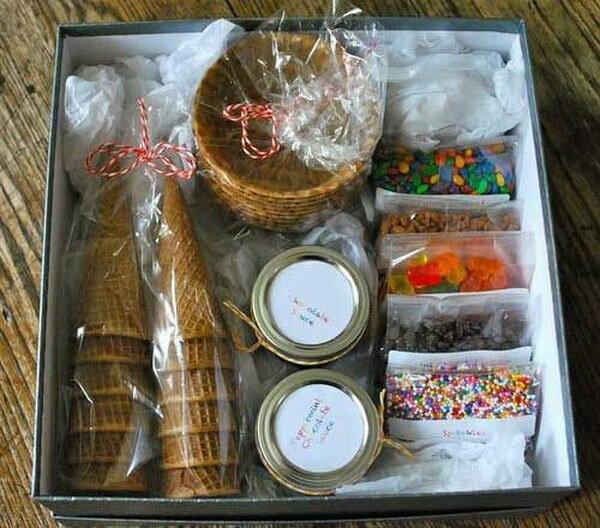 A food gift basket is super easy and can be filled with basically anything needed to make ice cream. Get the tutorial via Bloom Designs Online. Do you have a friend who is a tea lover around yourself? 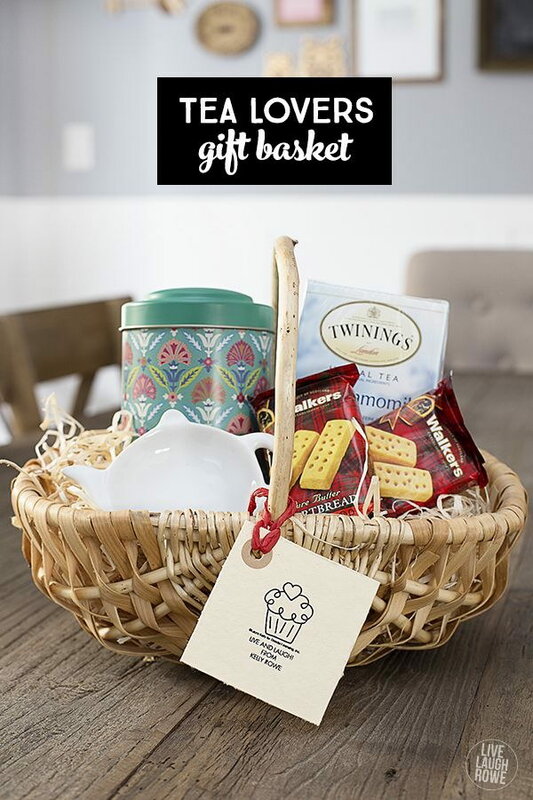 This tea basket gift will be a perfect birthday gift for them. Check out the details via Live Laugh Rowe. Get something for your mom that she could use. 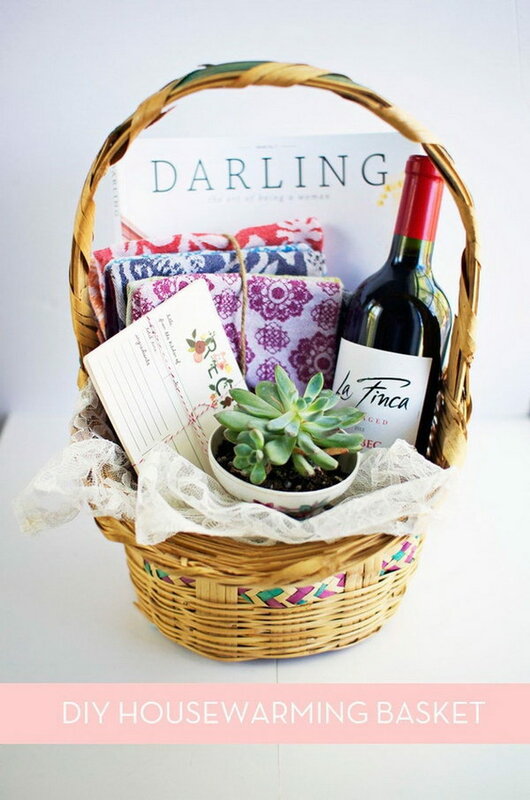 A simple and pretty inexpensive gift idea! See more details via irocksowhat. Get the details and tutorial via tonyastaab. 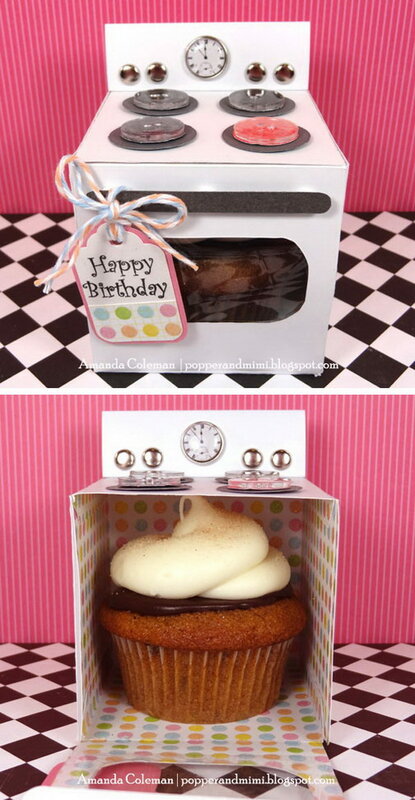 This little oven cupcake gift box looks so cute and so creative! Check out the tutorial and make one for your little guy via Amanda Coleman Designs. See the details via Curbly. Tutorial via Love Pasta Tool Belt. 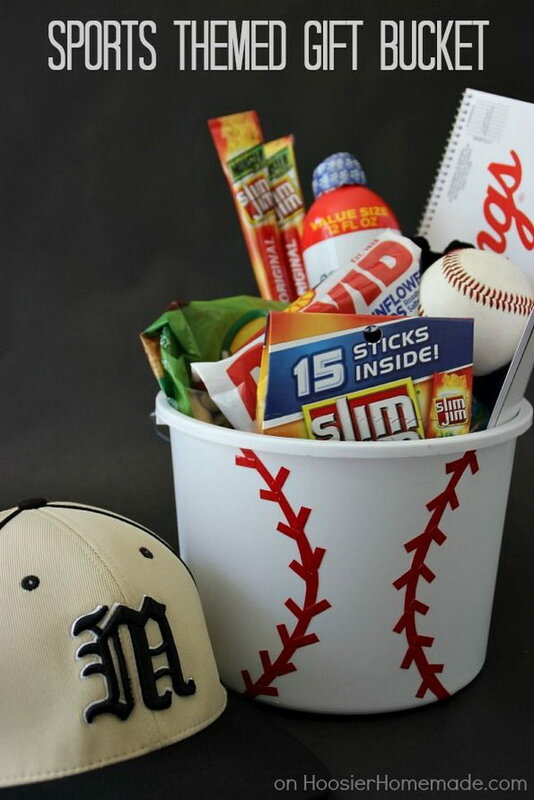 This sports themed gift bucket is sure to be the perfect gift for the sports lover in your life. See the details via Hoosier Homemade. Handmade gift challenge for Christmas! 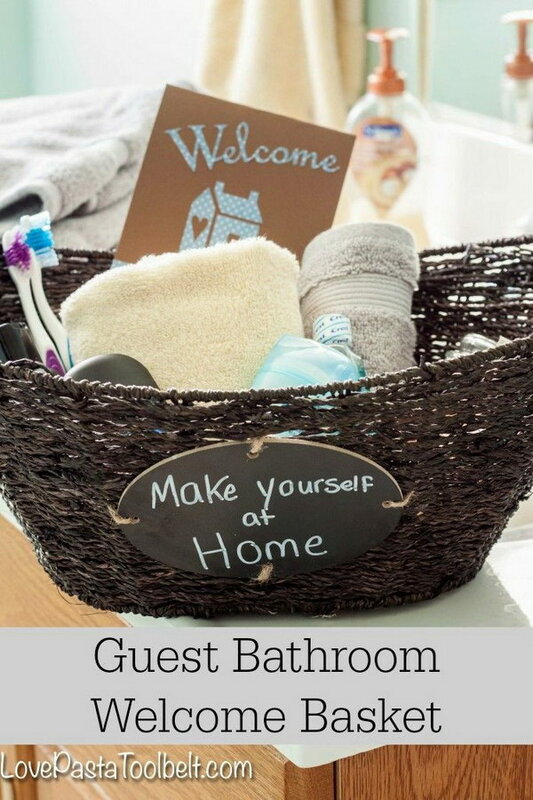 See the tutorial via Consumer Crafts. 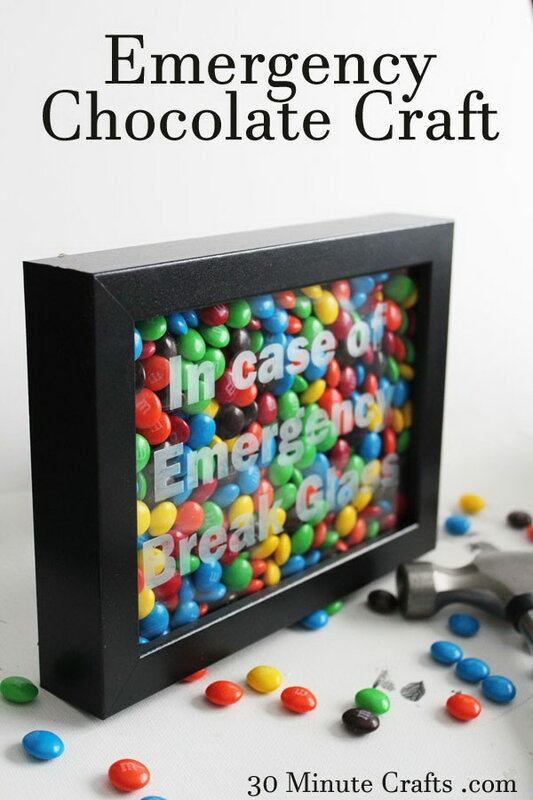 Totally practical and super clever gift for your husband! Check out to see more details via Darling Doodles Design. 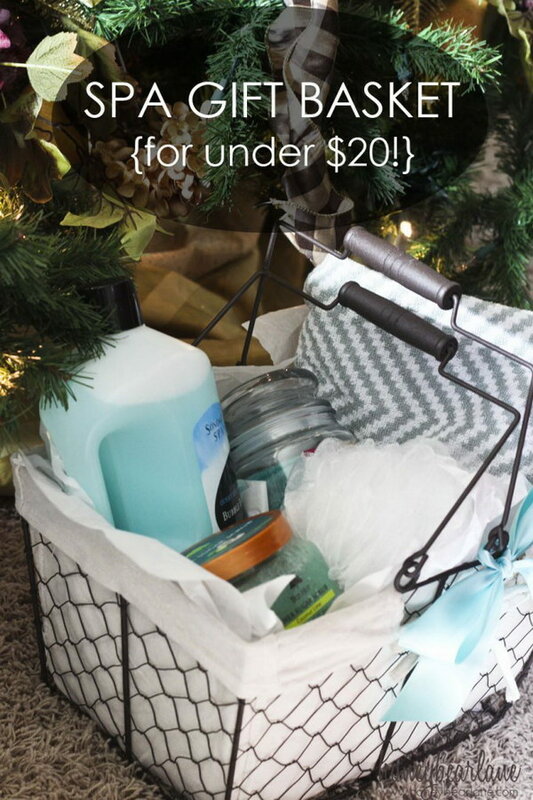 Check out this clever gift idea for under $20. 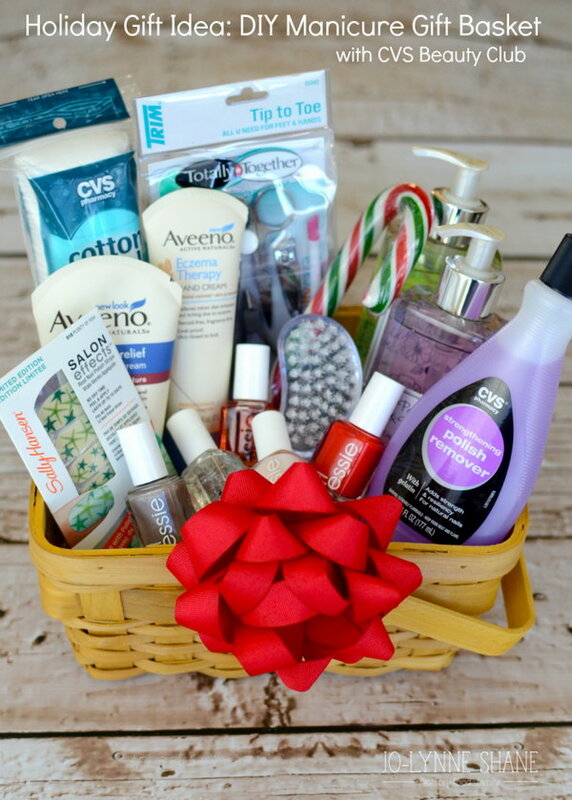 Make your own pampering spa gift basket for anyone to enjoy! source. Everything included was needed for an easy, but homemade dinner. A well received gift for our new parent friends. Tutorial via Handmade Mood. Tutorial via mommy like whoa. Saeco also created the unique Vienna and the Incanto classic. looking to upgrade your current toaster, consider one of the high tech toasters mentioned above. Great idea. Thank you so much for sharing. Now I can make my gift attractive and beautiful. Thanks again.